Reports of the Palm Pre's debut in the UK have been varying over the past few months, ever since O2 announced it will be the exclusive carrier. 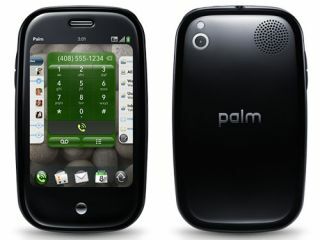 It has now stated the Palm Pre will have a UK release date of 16 October, three months after the exclusivity deal was announced. It's going to be £96.89 on the £35 and £40 per month tariffs on an 18 month deal, and free on £44 and £73 a month deals. Should you love it so much you want to shack up with the Palm Pre for 24 months, you can get it for free on a £35 per month contract, with 500 texts and 600 minutes thrown in. All the tariffs come with the same data deal as the iPhone – all you can eat data over 3G and Wi-Fi from the Cloud and BT Openzone (with fun Mr Fair Use-Policy along for the ride of course). "There's a lot of excitement about Palm Pre in Europe as we continue to expand Palm webOS products across new carriers and countries," said Jon Rubinstein chairman and CEO of Palm. "We look forward to launching Palm Pre with O2 so people in the UK can see firsthand how Palm webOS offers a new and better smartphone experience." It's a shame the phone has launched so late though – it took five months to debut in the US after its CES announcement in January, and then a further four months to make it to the UK, so the initial wave of excitement has long gone, and other phones (such as HTC's Hero) having managed to boost their OS experience to compete. Customers can purchase the phone from O2, the Carphone Warehouse and Phones 4U, so head on over and show you're excitement now by pre-registering.